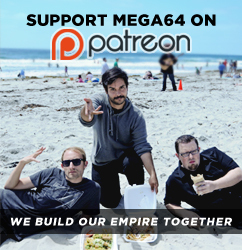 MEGA64 PODCAST 483 - MEGA64 DAY EXTRAVAGANZA!!!! Hey everyone!!! In this episode: It's Mega64 day!! Watch as we celebrate a holiday that we made up to honor ourselves! We also talk how weird new bands names are, what Weezer/ Blink-182 album is the best and talk video games we have been playing like Street Fighter, MLB the Show, and God of War! Check it out!!! Click here for the audio version! That's all for now! Thank you to everyone who made the first Mega64 Day a success! We love you guys.